Kanye West took a break from the spotlight after his Taylor Swift-related party foul at the 2009 MTV Video Music Awards. A year later, he’s not just nominated for a VMA: Kanye West is performing at the VMAs, along with Drake and Florence and the Machine! Kanye’s performance at the 2009 VMAs is sure to go down as the biggest faux pas in award show history. Who will ever forget when Kanye took the stage, stealing the microphone from Taylor Swift as she was about to accept the award for Best Female Video? “I’m really happy for you. I’ll let you finish, but Beyonce had one of the best videos of all time,” Kanye said to Taylor Swift as she tried to accept her award. When Beyonce won Video of the Year later in the show, she called Swift back on stage to deliver her speech, uninterrupted. Unfortunately, the damage was done and the Kanye West hate went viral. 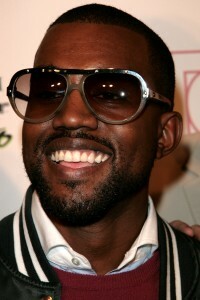 After a quiet year, however, Kanye West has a new album dropping November 19 and he’s preparing for his comeback. He made his public return last month, when he donned a suit and previewed his new music for the cats over at Facebook headquarters. With videos of those performances going viral, he opened the BET Music Awards, joined the Twitter universe and most recently, hit New York’s Hot 97, where he previewed a track from the new album, See Me Now, featuring of all people, Beyonce. Kanye is also releasing a remixed version of Power, featuring Jay-Z, on airwaves today. Keeping the momentum going, news comes that Kanye will return to the party where all the drama started. It seems the music net isn’t holding any grudges, which is no surprise, considering all the press his stunt created! Best New Artist nominee Florence and the Machine, and Drake, who is up with Kanye for Best Hip-Hop Video (Forever) and for Best Male Video (Find Your Love), will also be performing at the big show. In related news, Nicki Minaj, Selena Gomez, Emma Stone, Penn Badgley, Trey Songz and Ne-Yo have signed on as VMA presenters. The 27th annual MTV Video Music Awards will be broadcast live from the Nokia Theatre in Los Angeles on September 12 at 9 pm. Fans can go to vma.mtv.com to vote for the winners from now through September 12.